My husband and I love Mexican, but my daughter refuses to eat anything that has even the slightest spice to it. 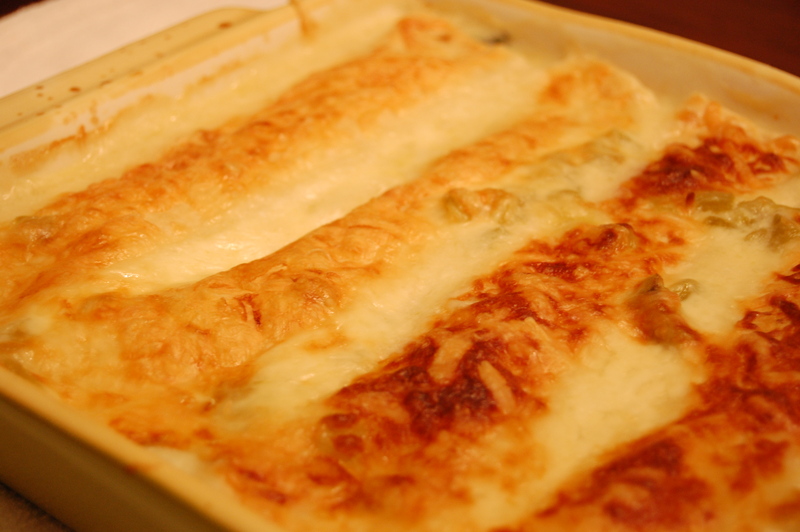 I made up these enchiladas one night and added ingredients that I knew she would like. The flavor combination was so wonderful, we didn’t even miss the heat! If you can’t live without it, add some diced green chilies to the mix. Preheat your oven to 350 degrees and Grease a 9 x 13 pan. 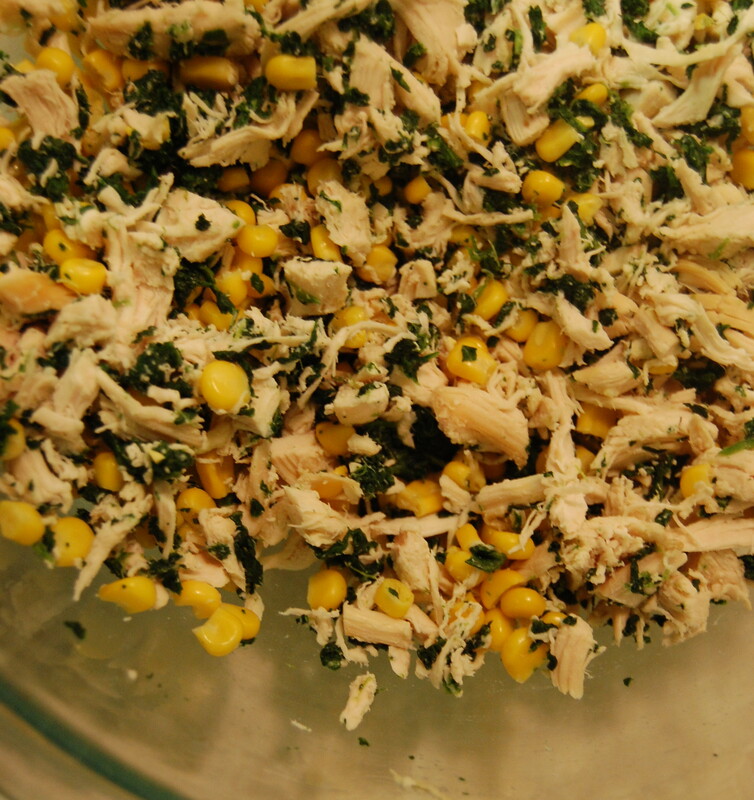 Mix together the chicken, corn and spinach. Add 1 cup of cheese and mix to combine. 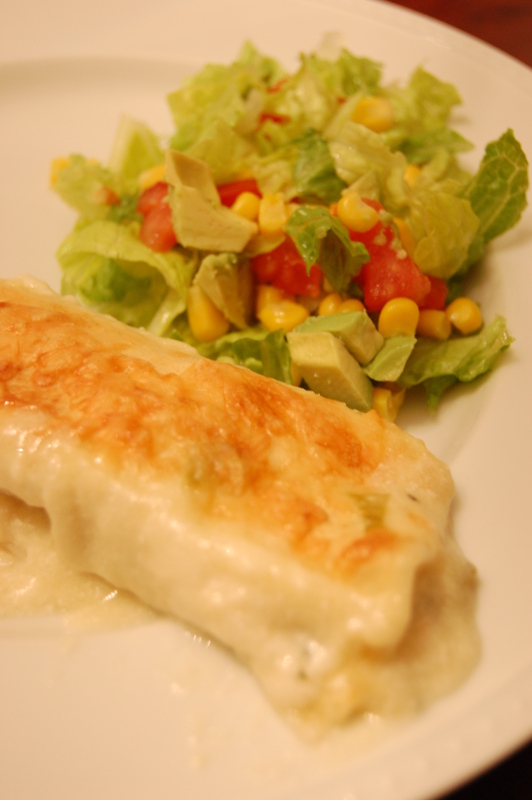 Fill each tortilla with the chicken mixture, roll up and place in the pan, seam side down. Meanwhile, melt butter in a sauce pan. Add flour and stir to combine, cook for 1-2 minutes. Slowly add the chicken broth little by little until smooth. Heat over medium heat for about 5 minutes, stirring constantly. Remove from heat and add the sour cream. 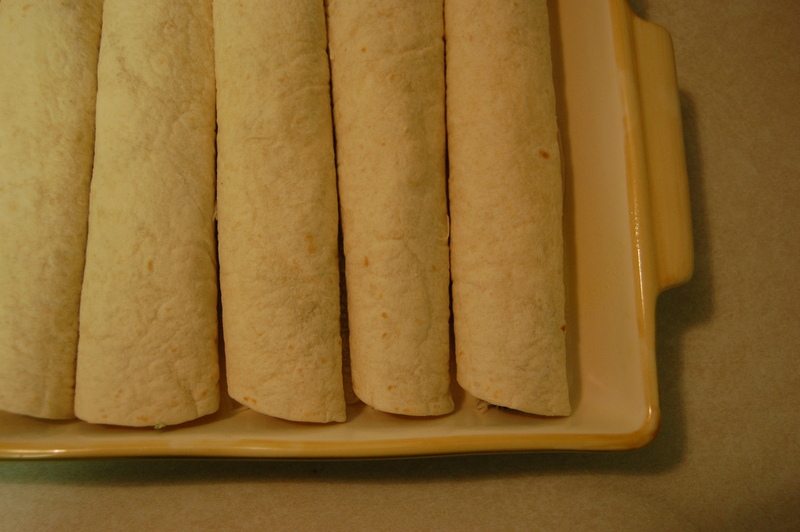 Pour over the rolled up tortillas and top with the extra 1 cup of cheese. Cover with foil and bake for about 30 minutes. Remove foil and bake an additional 5-10 minutes until golden brown and bubbly. I always make these expecting to have left overs, but the entire pan gets eaten every single time!